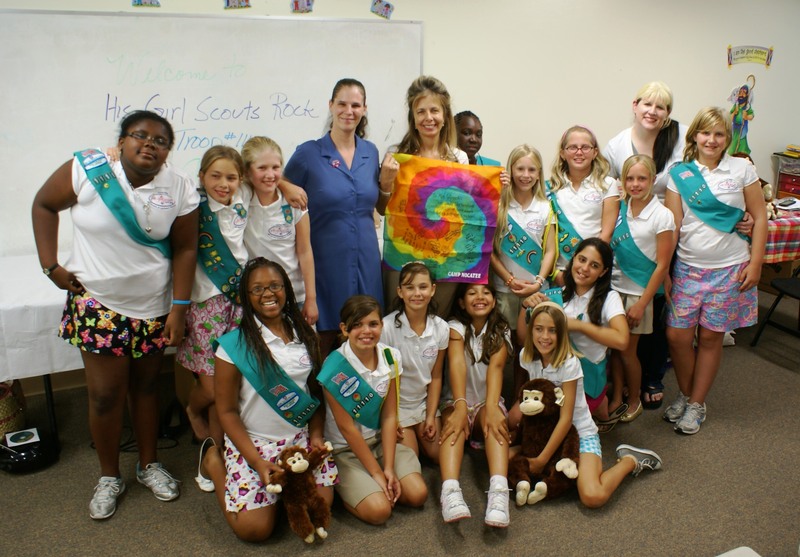 Girl Scout Troop #11110 serves girls in grades 2 through 8 in Fort Lauderdale and Oakland Park, Florida. Girls in 2nd and 3rd grade are Brownies, girls in grades 4 and 5 are Junior Girl Scouts, and girls in middle school are Cadettes. We are thrilled to be approaching the 100th Anniversary of Girl Scouts of the USA on March 12, 2012, and we’re gearing up to celebrate this occasion in style! We have so many exciting plans and so many different ways to celebrate the 100th that we hope you’ll visit this site over and over again to see what cool new things are happening in honor of Girl Scouting’s biggest anniversary ever. Millions of active Girl Scouts, volunteers and alumnae will come together to celebrate the 100th anniversary of Girl Scouting. Will you be one of them? The advent of this milestone provides a unique opportunity to not only reflect on the tremendous contributions the organization has made over the past 100 years but to also rally support for the next century of Girl Scouts. Our centennial offers girls like you the chance to shape the celebration and take action in ways to define your generation. We’d love to have you join us.